Frequently Asked Questions About Scion Executive Search For Nonprofits. Building your team while engaging clients and candidates on a personal and professional level. Why Engage Scion Executive Search? We are a modern executive recruitment firm designed exclusively for the executive search needs of prestigious nonprofit employers. We are very proud of our retained search success rate, and track record of client satisfaction. We lead searches on behalf of national foundations, nonprofits, associations, unions, and educational institutions. As experts in leading executive search for nonprofits and foundations, we are an active part of the national nonprofit sector. We make your organization’s growth goals an attainable reality. We understand how to effectively lead searches on behalf of nonprofit hiring committees and executives. In fact, we treat every executive search as a new opportunity for your organization’s advancement and growth. 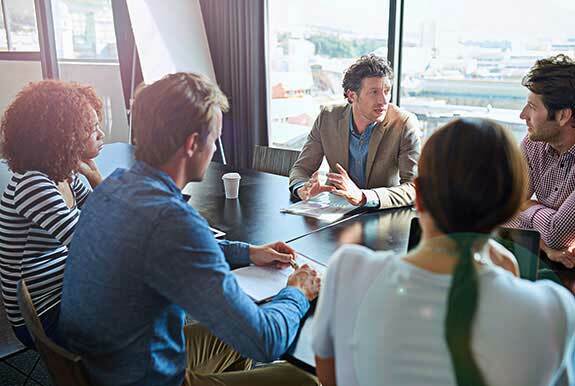 As experts in nonprofit executive search, we assist your committee in uniting its resources and offer clear expectations of your hiring committee’s responsibilities while working with us. In the end, our valued clients thrive from our search Principals’ modern, intelligent, reflective, resourceful, and planned leadership. How large is our network? There is a very good reason why our firm’s search Principals are continually asked to speak at national nonprofit events, conferences, and educational institutions. Born out of the nonprofit sector, we are remarkably connected in the international and US national nonprofit leadership community. This is why many of our prestigious foundation and international clients repeatedly select our firm over others. Our private and confidential network is extensive. We hold the largest private database of executive nonprofit professionals in the US. Our connections and networking abilities are deeply rooted within national and international nonprofit directors, board members, academic leadership, city and federal governments, foundations, c-level corporate leaders, and consultants. In addition to our exceptional proven track record, our Managing Partners and Principals are also experts who actively educate and shape nonprofit contemporary hiring practices, industry trends, modern networking approaches, recruiting technology, the executive search industry, and networking practices. What type of executive searches do we lead? We lead comprehensive executive searches for Chief Executive Officers, Executive Directors, and departmental directors within development, finance, technology, operations, research, programs, and marketing. Our areas of search specialization are best positioned for: foundations, international organizations, social services, international health organizations, science/research institutions, educational institutions, and art organizations. Do we work nationally or internationally? Both. We are proud to service our local, national, and international nonprofit clientele and actively recruit at the national, and international level. A successful comprehensive search should always include confidentially tapping into all available talent pools appropriate for your organization and field. Where is Scion Executive Search located? Scion Executive Search works nationally in the US and has offices and Principals within four regions (west, east, south, midwest). How long does a Scion Executive Search take? We lead searches for elite nonprofit and foundation leaders. No executive search is ever typical, and does differ slightly depending upon the competitive needs of your organization and board. Recruiting is an individual, hands on, and professional communication based service, and successful searches require careful planning, and a methodical search approach. That being said, our comprehensive executive search is generally successfully completed (from initiation to completion of our ten step search process) in three months on average. Rest assured throughout the search process our search Principles continually educate your committee on our work, lead and facilitate the search and hiring process on your behalf, and will always advance the search to meet your organizational needs. Please note – in special circumstances we can make available an expedited search process and timetable for organizations in need of emergency assistance. Scion Executive Search is an award-winning full-service nonprofit executive search firm that provides clients with extraordinary talent for hire. Since 2006, our partners have been strategically placing nonprofit talent within foundations, organizations, and educational institutions globally. It is our aim to make your organizations’ growth goals an attainable reality.